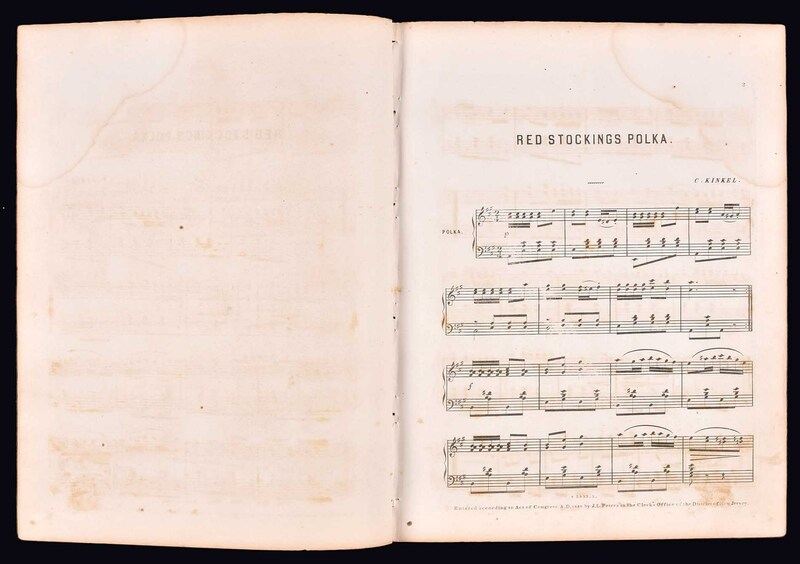 Scarce example of The Red Stockings sheet music, composed by C. Kinkel and published in 1869 by J. L. Peters, New York. 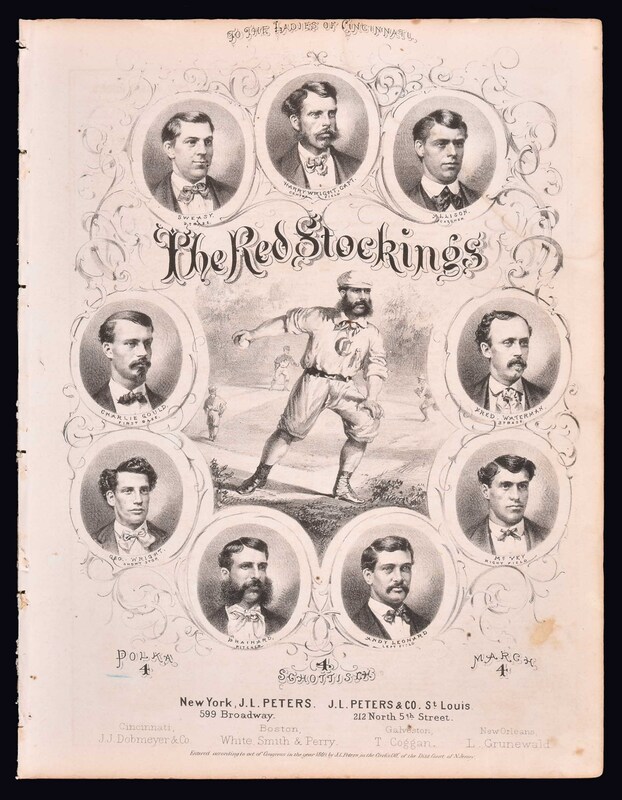 The cover design of this classic nineteenth-century sheet music features portrait illustrations of all nine Red Stockings team members, including manager Harry Wright, George Wright, Asa Brainard, Charlie Gould, and Cal McVey, surrounding an illustration of Brainard on the mound. The Cincinnati Red Stockings were baseball's first all-professional team and the best in the land in 1869, compiling a record of 57-0. As such, they were, and still are, one of the most celebrated teams in baseball history. This sheet music has always been considered one of the most attractive and significant souvenirs relating to that historic club. It is also scarce. This is only the fifth complete example we have handled since 2004 and we have seen probably fewer than a dozen offered at auction during the past decade. This particular example (10 x 13 inches), which features no restoration, displays a slight trim along both the top and bottom borders; otherwise it is extremely well preserved. There is a light stain in the upper right quadrant (which is much more noticeable on the interior pages than the front cover) and the cover displays a few small areas of light, scattered toning. The left border displays small binding holes and tiny tears from its having been removed from an album (common for sheet music of this era). Aside from those minor condition anomalies and the the slight trim, the piece is free of any significant flaws and presents as Excellent in its overall appearance. It should be noted that given its age and extremely fragile nature, The Red Stockings sheet music is rarely found without serious condition problems or professional restoration. 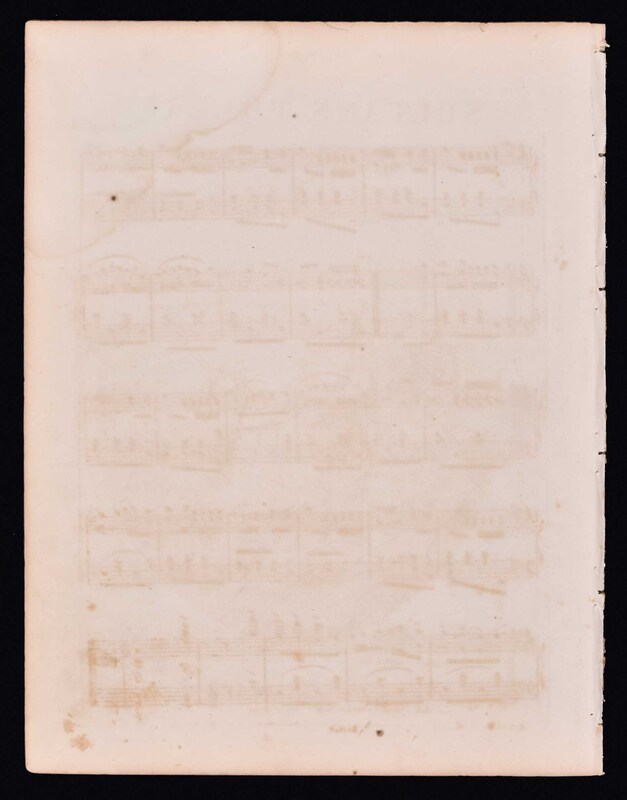 The offered example is one of the more attractive examples we have handled and one that would be a welcome addition to any advanced sheet music or 19th century baseball collection. Reserve $1,000. Estimate (open).